PLEASE NOTE: We have some NEW rovings in that aren't yet listed below because I have not gotten the photos done yet! BUT, we do have black, moorit, and white lamb rovings available, as well as black, grey, and white adult rovings. These rovings will be offered in 4 oz balls for $10 (adult) or $12 (lamb) each, rather than the 3 oz bundles listed below. We also have a NEW item - needle-felted sheets that are approximately 30 inches x 40 inches, in black, moorit, and white, for $22 each. These can be used for making hats, vests, slippers, or any crafts in which you need felt. Please email or call if you are interested in any of these items and we'll be happy to get you a photo and a price for what you want. We accept payment via Paypal, credit card (through Paypal), or personal check. Please call (603-323-0124) or email with any questions on any of these items, or to place an order if not using Paypal. Our rovings are carded for us by Stonehedge Fiber Mill unless otherwise noted. Colors shown may not be exact due to differences in camera and computer color rendering. Adult fleece, tog and thel combined. A medium moorit (darker brown than photo appears) with some lighter fibers giving a greyish cast. Beautiful! LAMB fleece, tog and thel combined, incredibly soft! Incredibly white! Adult fleece, tog and thel combined. 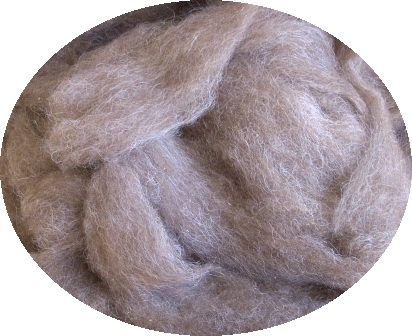 A beautiful shade of moorit with some lighter fibers running throughout. 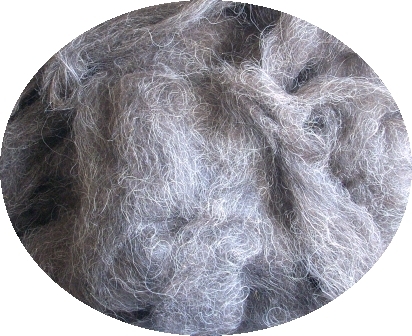 This roving is not quite as soft as our other offerings, so would be best for outerwear or felting projects. Adult fleece, tog and thel combined. This roving is quite a bit blacker than the photo appears. 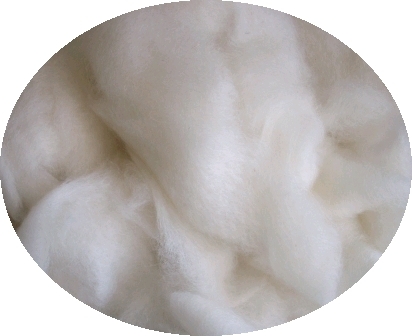 There are white fibers well-blended throughout. Raw fleeces are available in the fall. 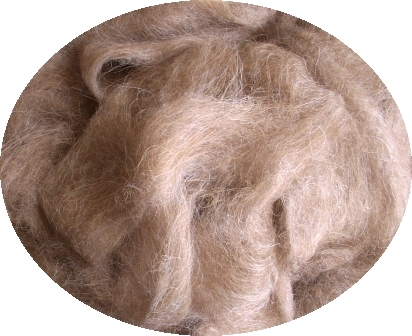 If you would be interested in unprocessed fleece for handspinning or other projects, please contact us for information about what we may have available.